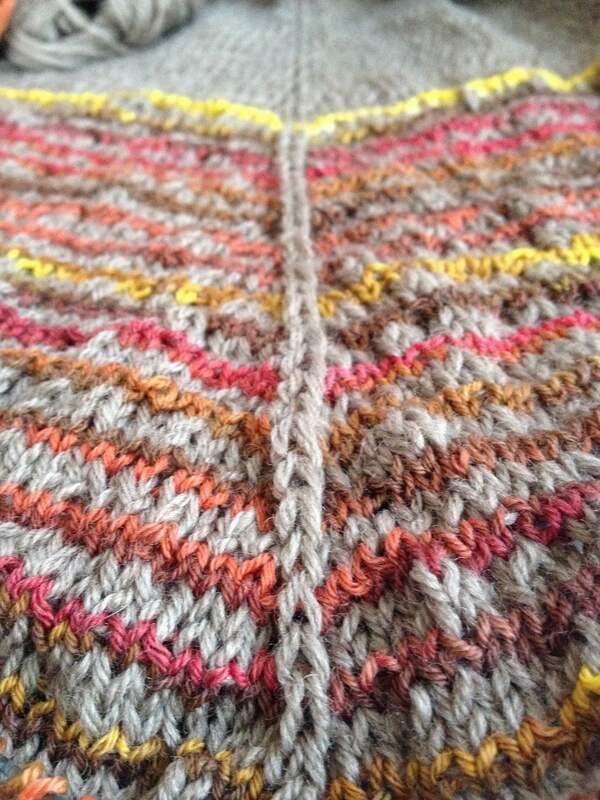 If I had designed this shawl, it would not be Daybreak, more likely it would be The Harsh Light of Noon. In any case, I’m happy to be back at it. The pattern offers S-M-L options…12, 16 or 20 stripes. 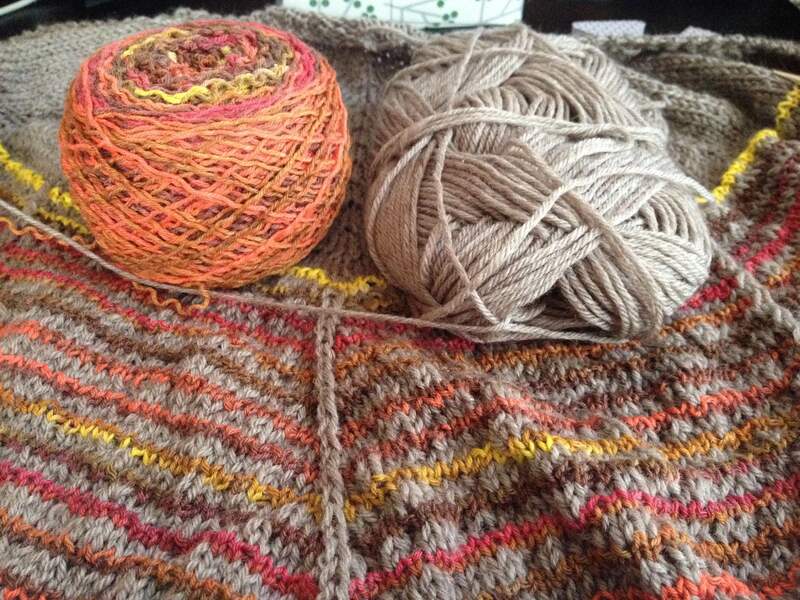 I’m currently 17 stripes in and showing no signs of stopping! I’ve got at least enough yarn for 20 stripes. I’m a shlanket kinda gal (half shawl/half blanket)…I like big shawls! The current plan is to go until the yarn runs out. We’ll see how long that lasts! I’ve still got plenty of yarn left! The plan is subject to change though! Dotted Rays is demanding my attention and of course, planning the Rhinebeck Sweater is soon to become knitting the Rhinebeck Sweater. 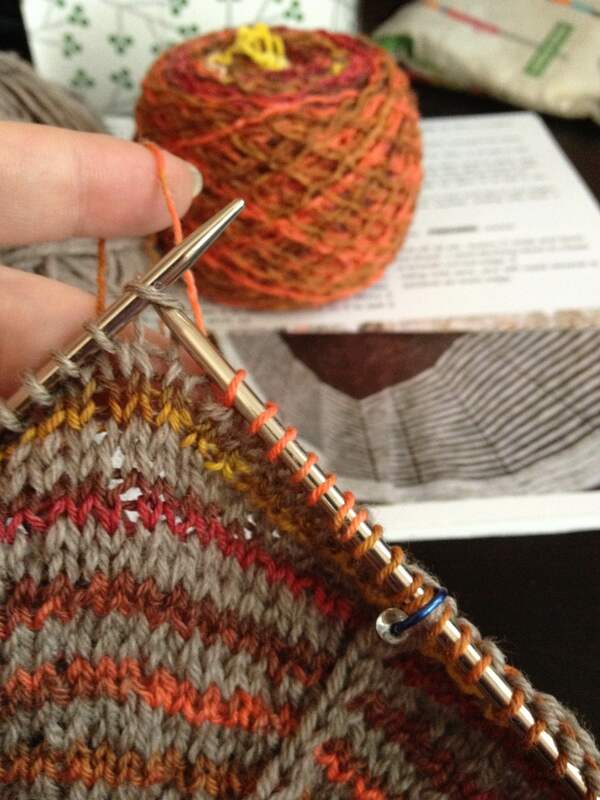 Then there’s the second Dotted Rays I want to start…scrappy, stashbusting stripes. And of course, the cashmere underwear I’m dreaming of and the more likely reality of a cashmere shawl. As usual, I’ve got enough plans to keep a factory full of knitting octopi busy! I’ve only got six projects on the needles after last week’s finishing flurry so anything is possible this week! I have always loved the Daybreak pattern. I can just never decide on what colors I want for it! Yours looks like it is coming out lovely. Ha, Harsh Light of Noon. Love it. Also: Fall Harvest. Or: Forest fire sunrise. I like Forest Fire Sunrise! That’s a good one!